It is inevitable, as more and more new smart phones are pumped into the market, they will only get faster and better. A taste of such fast smart phone is the LG E900. 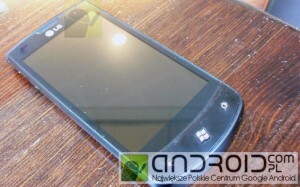 Website Android.com.pl has its hands on the new Windows 7 phone and some interesting features were uncovered. The LG E900 is the first full touch screen phone from LG and runs on Windows 7. The site reports some really good specifications for the phone! The LG E900 has a 3.7 inch TFT screen and is powered by a QSD8650A Snapdragon Chipset. This new chipset is simply amazing and clocks at 1.3GHz which is faster than other smart phones in the market. The chipset also supports 2D acceleration, 3D graphics, Wi-Fi, Bluetooth, integrated GPS, and HD video recording/playback. We are yet to confirm some of the chipset specifications but with the faster chipset performance of this new phone will be at a all time high. No release dates yet.